Danni's Dreams: Happy New Year 2013!! Here we are at the start of brand new year again! I have to admit, I'm pretty thankful to be done with 2012. While it wasn't my worst year ever, it was a year full of much more drama than I would've liked...just happy to be starting fresh, so to speak! A few years ago I started sharing my "one little word" for the year. In 2011 it was Enjoy. Last year my word was Rediscover. This year I thought long and hard and came up with Choice as my word. and so on. I have always been a people pleaser and while I have gotten better about saying no and going my own way, I still tend to get into situations where I try to please others vs. myself. Because of this many aspects of my life have sort of gotten away from what "I" want so I decided this year, I'm choosing to claim things back and remember I do have a choice in things. Looking at my goals from last year I did accomplish quite a bit of them, yay! continue on working on staying healthy! I lost over 20 lbs and around 20 inches in 2012...and also put some of it back on...but I want to continue to exercise and eat healthier. read more--I did read quite a bit in 2012 and remembered how much I love to read so it's definitely on my list to continue! scrapbook--and scrapbook some more!! it was my first love in papercrafting and I can't tell you how happy it's made me to be scrappin' again the past week or so! I want to make sure it's part of my crafting each and every week! make the cards, projects, etc that I want to! 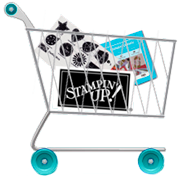 I got so caught up in creating projects for design teams and for my blog-just to blog--that I sort of lost the fun of making things that I want to--just because I want to! again, it's my choice and I need to remember that! send out RAK's/cards--I have totally gotten away from this and I miss it so much! it was one of the things that I enjoy so much so it's on my must do list for sure!! 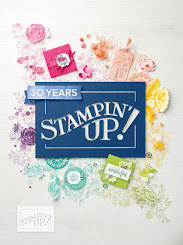 work on my Scentsy and Stampin' Up businesses! I am in two 52 Week Challenges this year--one is a card a week (with a certain "recipe" each week to follow) and a layout a week. I'm super excited about these and hoping I can complete them both--especially the layout challenge! I really am looking forward to this year and whatever it may bring! Hope yours is simply the best!! Enjoy this first day of the New Year! Our whole family (maybe not the kids but for sure Sam and I) is doing the Polar Bear Plunge today! If I'm not totally frozen, I'll be back tomorrow for Flutter By Wednesday!! Happy New Year, Danni - to you and your family! Good luck with your resolutions and your choices! Love your new transformation, your new hair cut is just awesome....Looks like something you can whip up when you have someplace to go.... love it! Happy New Year,Danni. Hope you achieve all your goals and all the dreams in your life come true. All the best for you and your loved ones. Your new hair cut looks fantastic. Love the new hairdo Danni! Look at sweet, wonderful you! Love the new 'do! I like your word...very fitting for so many of us. Wishing you a healthy, happy 2013! I've had this post saved in my reader for weeks now. I think this is a great word for you and I look forward to seeing how you keep up with it throughout the year! I'm already finding that I'm losing my word...sigh....I'll get back on track eventually!